Two portraits of what it is to be a man. In my late twenties I found much of what I learned about what a man was in the portraiture from the 17th and 18th centuries. The Dutch Baroque portraits already on the surface engage the viewer with their detail, subtle palette, and richness; but on top of that the assured gaze both of the figures in this post gave me the impression they were evaluating me or engaging me in a conversation. When I think of the number of times Rembrandt or Frans Hals had to look at someone when rendering that person on canvas, there seems to be a level of accuracy to their work that goes beyond what a camera can catch. The painting isn’t one view but an accumulation of views, like a film compacted into one still image. Like friends I had to visit, the paintings in this post I came back to again and again when visiting the two California museums that they are found in. 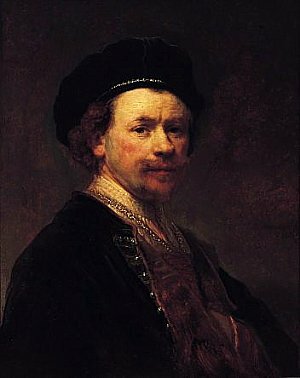 The Rembrandt I remember looking at specifically when I was the same age as he was in the portrait when I turned thirty. I recall gazing at him simply saying, “Tell me everything you know.” The Hals portrait I have always been humored by. I enjoy the cockyness and self assured pose of this man in lacey white, a contradiction of sorts. I’ve always admired his confidence. If you asked specifically what I learned about being a man from them I would speculate I found you should look people in the eye, and have confidence in who you are it’s all about what’s on the inside. 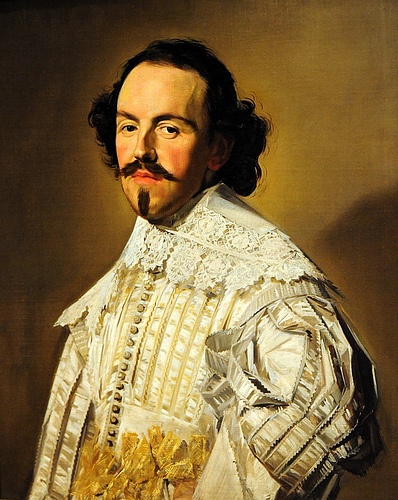 This entry was posted in Men's Work and tagged Frans Hals, Man in white, masculinity, portrait, Rembradnt, to be a man. Bookmark the permalink.